Chicago based artist collective to join events during Art Miami, Art of Black Miami and Art Basel Week PIGMENT International, the artists’ collective, will host a three-day intimate salon event that includes an exhibition of fine art by some of the preeminent African American artists in the country. The event will be held at the Penthouse Riverside Wharf, 125 SW North River Rd. December 4, 5 & 6. The event will include an Art Talk on collecting and valuing art, special recognition of two acclaimed national artists – Frank Frazier and Gerald Griffin. Entertainment and guest appearances include The Lady in Red, Karen Briggs, Grammy Award-Winning hip-hop artist, philanthropist, and politician Rhymefest, and Miami’s own Hip Hop artist Flo Rida. 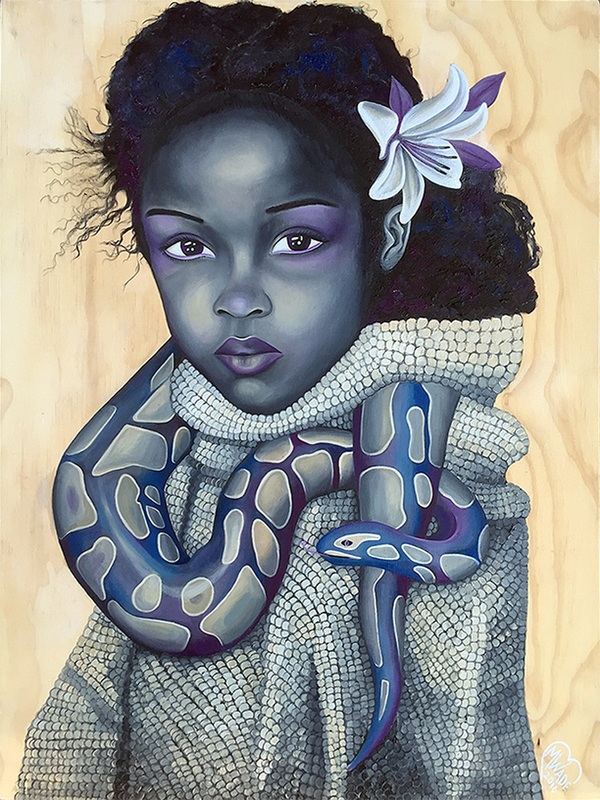 The curated celebration will feature PIGMENT Intl’s founding member artists Paul Branton, Gerald Griffin, Jason E. Jones, Blake Lenoir, James Nelson, Dana Todd Pope, Pearlie Taylor, Raymond Thomas, Martha Wade, Minnie Watkins and Reisha Williams. Also exhibiting will be Nkosi Imported Crafts, and guest artists Ferrari Sheppardand Shawn Warren. On Tuesday December 4, the exhibition will open at 3:00 p.m. for a preview and an invitation only Collectors Talk focused on the buying, valuation and sale of art. Participating will be Art Appraiser Diane Carr, noted collector and financier Russell Goings, nationally noted collector Denise Gardner, and Atlanta gallery owner September Gray. There will be an opening reception at 6:00 p.m. featuring entertainment by Miami’s own Deep Fried Funk. Cuisine will be provided by acclaimed Miami restaurant Dragon Fly. The exhibition opens to the public at 11 a.m. – 5 p.m. on Wednesday for art viewing and sales. There will be a special reception beginning at 6:00 p.m. where Pigment artist Griffin will be recognized with the “Arts Innovator Award.” Griffin, an artist, sculptor, and poet works in a variety of mediums and styles, creating emotionally intense figures in urban environments. Griffin holds a BFA from the Art Institute of Chicago. Thursday, December 6, the exhibition opens to the public from 11 a.m. – 5 p.m. for art sales and viewing. A special reception from 6:00 p.m. – 10 p.m. will recognize the work and career of Master artist Frank Frazier. He will receive the “Arts Pioneer Award” for his more than 50 years of artistic excellence and social activism. The sculptor, painter, and collagist has served as a mentor and role model to generations of artists, gallerist and collectors. His work is sought after by institutions and collectors around the world. “When I see young people look with respect and appreciation at the art of today, I think of Sankofa, and how we must go back to the past to understand the present,” Frazier offers. Pigment, International will end the week with an Art Talk at the Betsy Hotel on Saturday, December 8 entitled “Generation Shifts, Generations of Creativity,” where the conversation will shift to the next generation of creators and collectors. The talk will feature father and daughter artists, Eugene ‘Eda’ and Martha Wade. PIGMENT-Intl ® is a multi-media arts collective promoting multicultural arts, culture and innovation. Pigment is about encouraging artistic cognitive dissonance. The creative process allows artists to capture contradictory ideas, concepts and impressions while encouraging conversation and introspection. Integral to the creative process are the curators who present the work, and collectors who share a belief in artistic expression. Pigment is about bringing those constituents together in a celebration of multi-cultural art. Follow Pigment, Int’l on FB and IG .